In the March issue of Wood News, Bob Rummer writes about restoring vintage tools, and some of his conservation practices. The article offers an interesting discussion of collector vs. woodworker approaches to restoration. 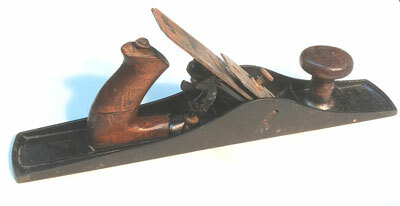 The place that we seem to get into arguments is with old tools that have value to both collectors and woodworkers. The woodworker wants a functional tool, the collector wants the tool kept in its “vintage” condition. The tool collector sees value in maintaining patina and the vintage look. Click to read more about vintage tool restoration.